Do you want to be part of making NZ history? 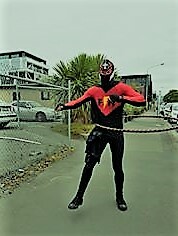 On Sunday 28 October 2018 in Hagley Park, Christchurch you can be part of breaking the New Zealand record for the most people hooping together! The Super Heart Hoop-Off is being organised as a charity event to raise funding for The Heart Foundation, and to help support and raise awareness of heart health. It will also be a combined celebration of the Heart Foundation 50th Anniversary, and In2Hula’s 10th Anniversary. The main event of the afternoon will be an attempt to break the current New Zealand record for the most people hula hooping together in one place for at least two minutes consistently. The record of about 150 people is currently held by a group in Invercargill. The area in the front of the stage will be roped off for preschool children to ‘join in’ with the hula hoop record attempt if they can’t hoop. Competent young hoopers can join in front of main group. The area where the Hoop-off registrants are taking part in the hoop record attempt will also be roped off from the general area. Around this event there will be side and stage entertainment. Super Hero back-drop banners will be available for the public to take their own photos in front of. The Flat Man, Dark Side Entertainment and Melanie Poppins have confirmed that they will also be in attendance on the day, mingling with the crowd and posing for photographs. Event sponsors will be invited to have an information tent, and stage performances will be given by various members of the hooping community. People will be able to register for the hoop-off online prior to the event. Online registrants will receive a 10% discount voucher for an In2Hula hoop purchase. The event will appeal to families, children who have participated in the Hoop with Heart Programme, supporters of the Heart Foundation and members of the hooping community. How Can Your Business Be a Part of This? Businesses are invited to be a part of this charity event by sponsoring prizes, equipment needed or photo background banners. In return, the business’s name will be promoted to a wide audience and sponsor businesses are also invited to have an information tent/stand at the event. We anticipate that there will be news coverage of the event. 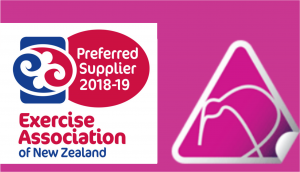 Please note that while In2Hula is working with the Heart Foundation to organise this event all profits from the Hoop-Off registrations and donations taken on the day will be going to the Heart Foundation. Essentially In2Hula is the chief sponsor of the event and all time involved is donated. Corporate teams entered into the event are welcome to promote their brand via their team costume.